Are you looking for a floor scrubber for sale in Perth? Is your office, warehouse, or factory in need of an industrial floor scrubber that can get the job done? If so, Karcher floor scrubbers are the answer. Rosher is the proud West Australian dealer of the high-quality, world-renowned brand, Karcher. Everything you’ve come to expect in this German-designed, family-owned brand is what it’s range of floor scrubbers’ promises to delivers. 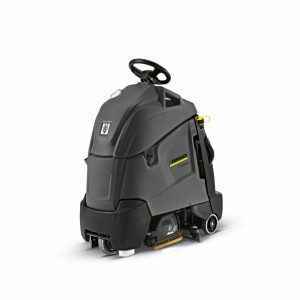 Karcher’s walk behind floor scrubber range offers compact, speedy, easily-controlled units for all commercial and industrial floor scrubber needs. 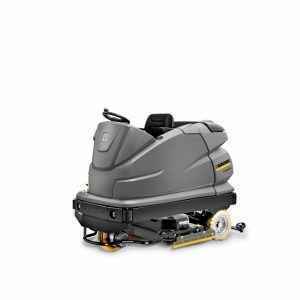 These Karcher units can do the jobs that traditional floor scrubbing machines can’t. The step on range offers the maneuverability of a walk behind scrubber with the speed of a ride on unit. Karcher’s step on floor scrubbers for sale are perfect for any commercial, retail, corporate, or industrial need. They are eco-efficient as well; focused on saving time, energy and water. The durable, fast, comfortable ride on floor scrubbers for sale from Karcher are able to deal with any awkward interior spaces out there. Rosher is a proud stockist of Karcher pressure cleaners, sweepers, scrubbers, vacuum cleaners, and other Karcher accessories and equipment. Visit us at our new, dedicated Karcher Showroom in Malaga today to view our full range of products. We also supply Karcher tile scrubbers and Karcher paving scrubbers for those particularly hardy, uneven indoor and outdoor jobs too. 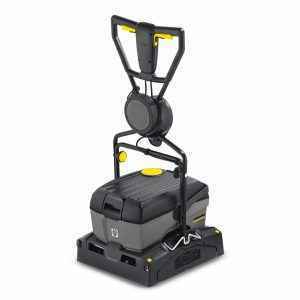 Over and above quality Karcher floor scrubbers for sale, we have a dedicated service team, which offers fast, efficient services on all products and equipment we sell. For all your speedy, easy-to-use, Karcher floor scrubber needs, call Rosher today.